Missouri House Bill 606, introduced by Representative Chuck Basye, would modify existing student transportation systems by having some Columbia Public Schools (CPS) students ride city buses rather than traditional ones to school. 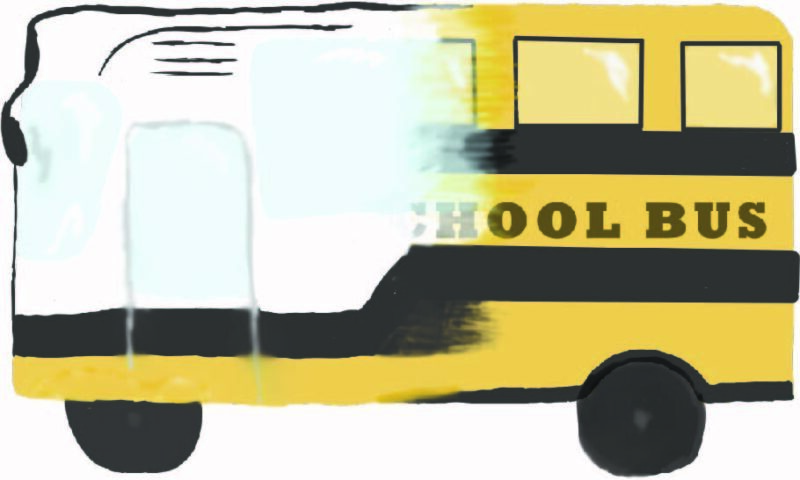 The proposed legislation would not phase out the school bus system currently in use, but would work in tandem with Student Transportation of America (STA) to create a more cost effective transportation route plan for the school district. This bill is well intentioned and has the potential to save the district money if implemented correctly; however, this policy would overextend the school district’s ability, posing significant logistical and safety issues. The bill would make it so certain bus routes currently covered by STA would be taken over by the city bus system with an adult monitor present at all times while students ride. However, this doesn’t take into consideration the impact students will have on routine adult riders. It shouldn’t come as a surprise that teenagers are messy, and city buses will reflect that as many school buses currently do. Student use of city buses may also interfere with the regular public transit schedule on days when there are early releases or late starts. In addition to inconveniencing other riders, student use of city buses could prove problematic for the students themselves. It is important to take into account the possible scenario of a student forgetting the approved travel pass that would allow them to utilize the public bus. An incident of this sort occured in Pennsylvania when, junior Musa Sakala, a student of the Pittsburgh Public School (PPS) district was denied entry on on a bus, according to National Publication Radio. Sakala was nonplussed when his ID failed to work and forced to get off the bus. The problem was actually an error made by the school when it failed to issue to the correct ID card to students. Sakala was one of many students whose cards did not scan. Some operators allowed students to ride anyway, but others had to exit the bus if they did not have money to pay for their transportation. They could not convince bus drivers that they were not just trying to get a free ride and sometimes had to find their way home in freezing temperatures. In some extreme instances, students allegedly had the police called on them after refusing to exit the bus because of faulty ID’s. Issues with IDs, however, are just one of the many concerns regarding the bill. The main conflict with this bill for parents would be allowing students out of the school environment and putting them in a situation where their safety could be at risk. Drivers can only pick students up and drop them off at designated bus routes, according to gocomotransit.com. As existing bus stops were not put in place with students in mind, they may have long walks to bus stops. This leaves unaccompanied teenagers vulnerable to violence. There have been several such instances of children being attacked when walking to bus stops, such as when a man assaulted a Fort Worth 13-year-old, according to the Fort Worth Star-Telegram. She walked onto the bus bruised and bleeding before going to the Cook Children’s Medical Center in serious condition. Parents and students of CPS have legitimate reasons for concern. Before anything is implemented, the district should consult CPS parents and give them an opportunity to voice concerns and ask questions about the change in transportation. The district is trying to find ways to save money; however, this bill’s lack of concern for student safety and vulnerability to extreme error outweigh the possible savings for CPS. What do you think of the bus bill? Let us know in the comments below! Columbia might not have the same issues with bus passes because anybody under 18 can ride the city bus for free. I understand that forgetting your ID would still be a problem and of course there are safety concerns, but this plan might allow the district to invest more in academics than it currently does. I don’t think it’s a great idea to use city buses because they don’t go into the suburbs.